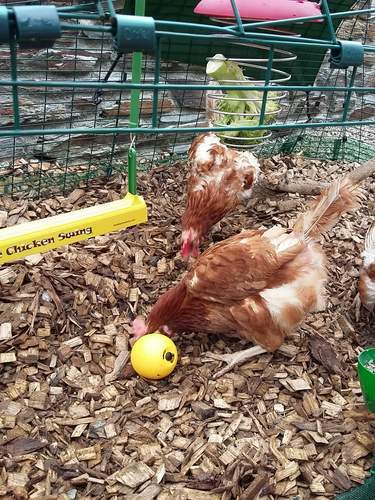 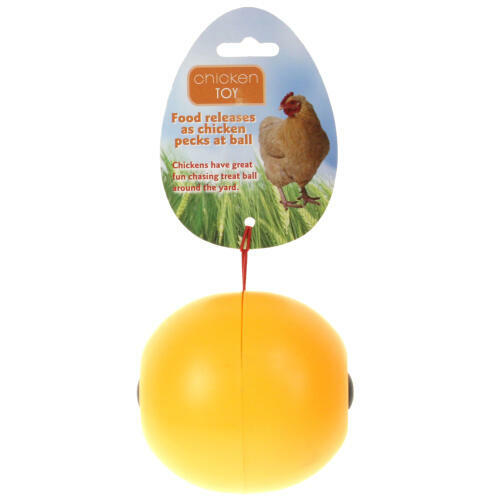 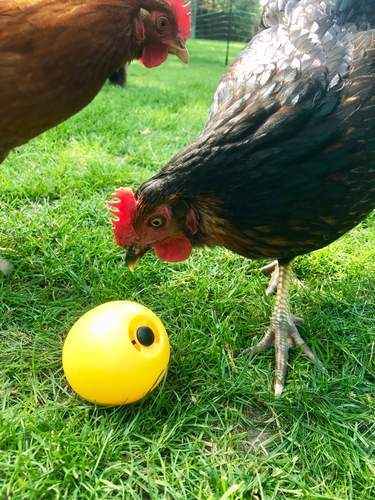 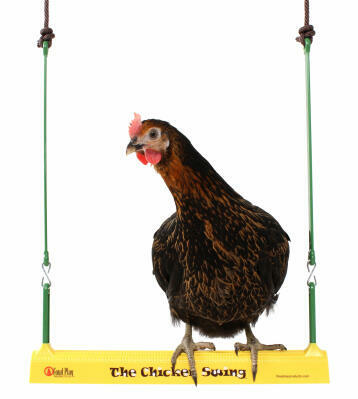 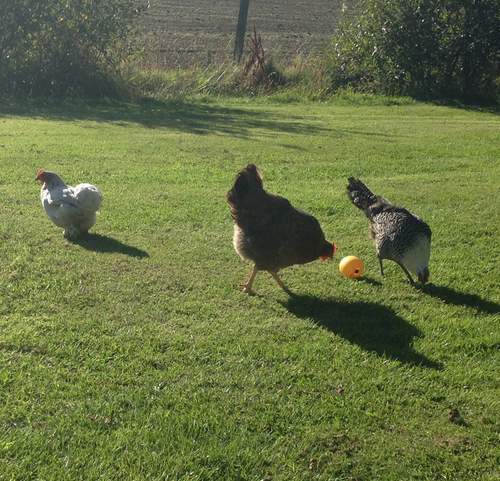 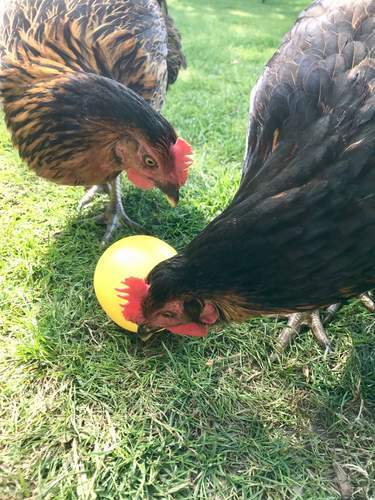 Fill the Manna Pro Chicken Toy with corn, feed or a treat mix and watch your chickens have fun chasing the ball around the garden. 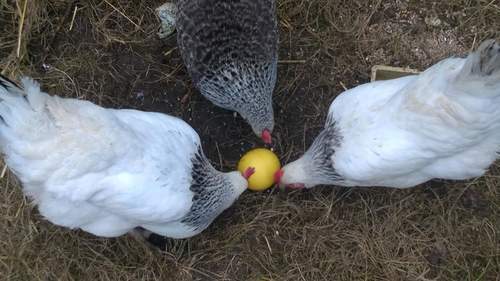 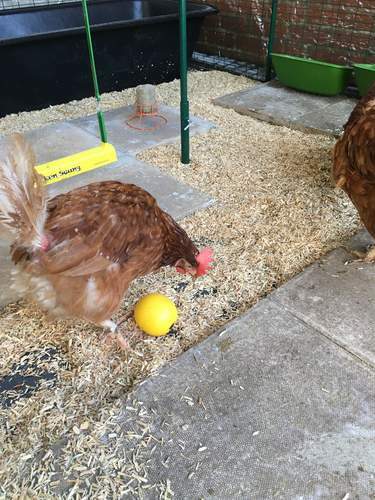 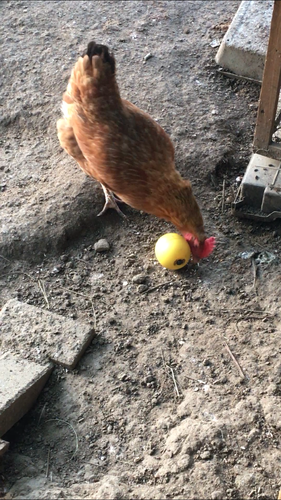 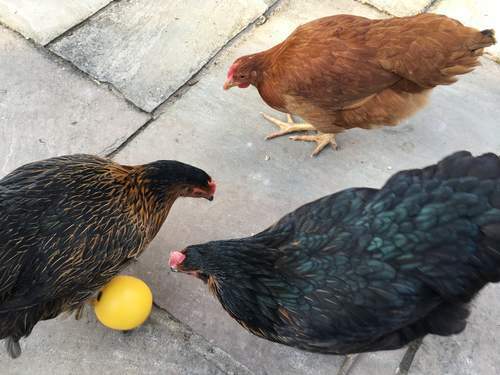 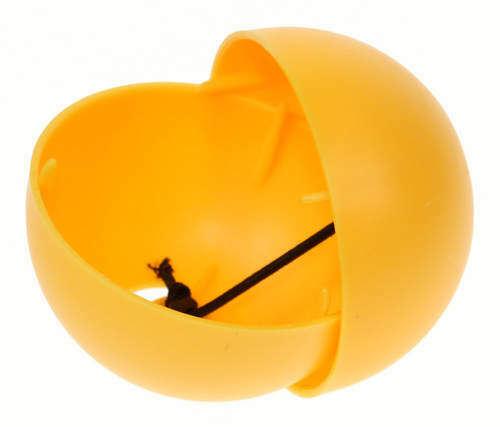 As the ball moves, small quantities of the treat will be released through holes on either side, which hens will love to peck at. 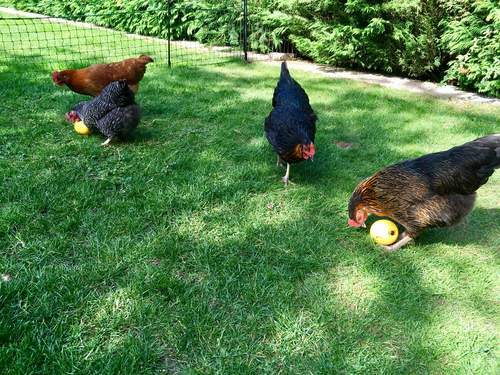 They will soon learn that they need to move the ball in order to release more treats, making it a brilliant game. 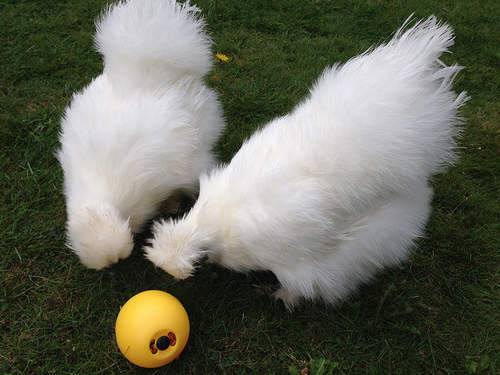 The Chicken Toy is a shell-like ball, in two halves. 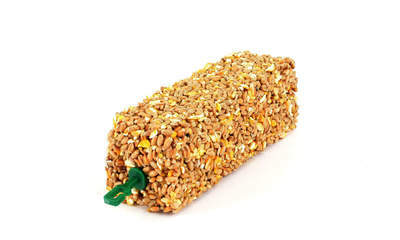 They are attached together with a core of elastic, so it can be pulled apart easily to fill with feed. 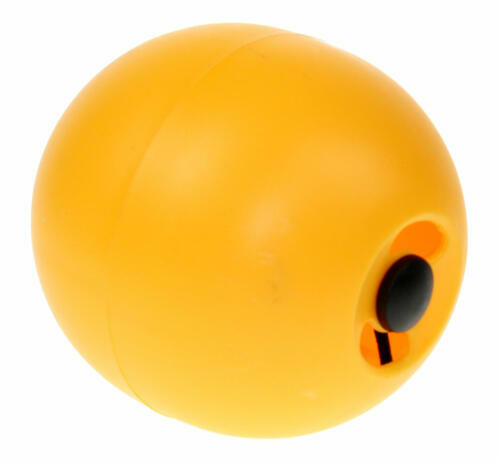 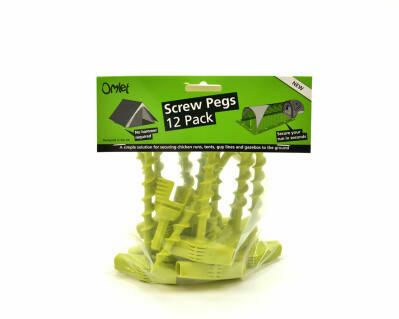 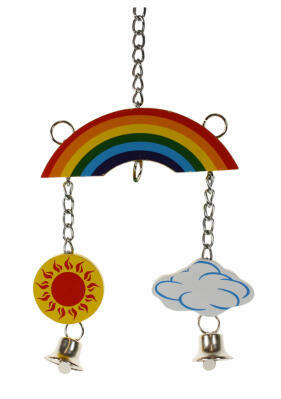 The toy measures approx 8cm in length.